Whether you spend just a couple of minutes in front of the mirror, getting ready for work every day, or whether a mirror is something you really can't live without, you have to admit that this is an essential item in any home. There are some nice mirrors that you can buy at arty stores, but you can make something unique to put in your bathroom or bedroom. Although this has a practical purpose, it will also add to your decor and can even create a focal point, so it is something that you can put in the living room and really get a lot of pleasure from. There are really simple things that you can do which will turn a bland living space or a bedroom which does not have much character into something special. One example is using a frame. Of course, everyone knows how many different frames there are lying about - decorative, simple, colorful. This is just one way of adding a little interest into the home. You can even use an old platter that has maybe cracked. This is a great example of upcycling and it will look great in the bathroom or even in the kitchen. This is something else that is fairly easy to make. It may look like you have bought it at a specialist store. All you need are a few extra tools and a large stash of driftwood. You will be more than likely be able to pick up an old mirror from a second hand store or a garage sale. This should have a wooden frame where you can either glue the pieces of drift wood on or nail them on. It is probably better to get the hammer out and start nailing. You will probably need two layers so the frame underneath gets covered up. There are many different kinds of mirrors like this that you can make. The finished product really looks awesome, but it also looks tough to get together. However, if you look at the picture below, you will begin to see that it is actually not that hard at all. Once you have th materials, it is a case of putting it altogether. One big mirror as well as other circular mirrors of various sizes - you should have enough for each dowel, alternating the sizes. Glue and tape up the dowels to the central mirror. Make sure you plan this out so that you are placing the dowels evenly spaced. It's best to use a pencil and mark it out. Leave this to dry, then turn the mirror over so that you can begin sticking smaller mirrors on the dowels. You can do this at random, or in a systematic way. Now you simply need a hook on the wall to hang your mirror up. The nice thing about using mosaics is that you can go as unique as you like. You can use round mirrors or square mirrors. 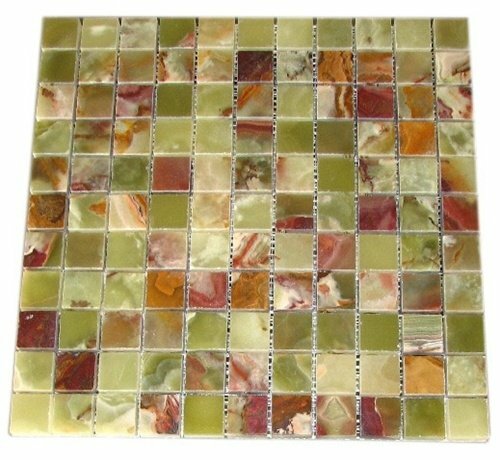 You can make patterns with your mosaics, going with certain colors, or you can be mor rustic. There is little chance of your neighbor doing the exact same thing as you. 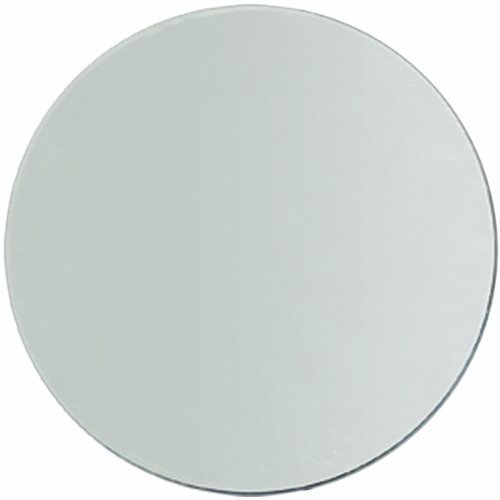 Basically, all you need is a round mirror to the size of your liking. Clean it well with a paper towel or a lint free cloth. Have your mosaics ready, and plan out where they are going to go - you may have a certain pattern in mind. Place tile adhesive to the back of the tile and press it down. Once this is dry, you can start to mix grout, or purchase some - this should be mixed into the consistency of a paste. Start getting this in all the spaces between the tiles. Wait for it to dry, and then take a cloth and wipe off any of the grout which you find on the tiles. A mirror is a nice item to have in your child's bedroom - in fact, it is kind of essential. You can even use cardboard for this, and spray paint it whatever color you want. A plain old mirror can be made to look really elegant with the use of good looking tiles. All you need for this is an adhesive. When you working with the top layer, make sure you tape them to the top of the mirror, just for safety sake, and when everything is dry you can take the tape off again. If you want to upgrade to the next level and use more tile, then you may want to use grout and use the same technique as you would for a mosaic mirror. For most of these projects, you just need a simple mirror like this to get started. Tiles like these can be cut and used in a rustic form, or they can be used as is with the help of a little adhesive. 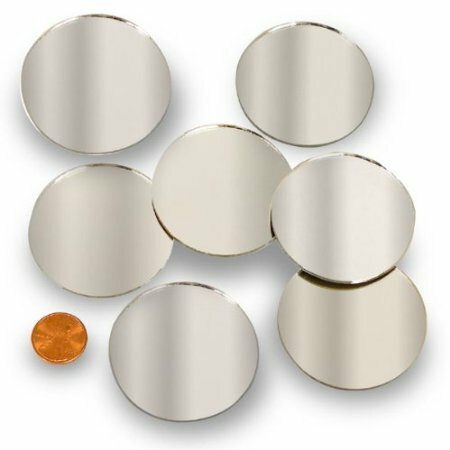 Smaller mirrors like these are helpful when you are making a sunburst mirror.